Hey you guys! 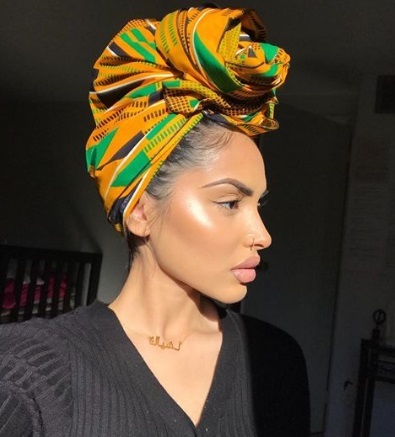 Today I wanted to share with you all some more gorgeous headwrap styles. I know I'll be trying some of these looks as well as some of these makeup ideas. All of these women are slaying with their makeup. I definitely need to change my life and learn how to do my makeup properly. Anyway, check out these gorgeous ladies rocking their headwraps! Don't forget to follow them on Instagram and show them some love on their photos! Ya already know I love my headwraps. They're perfect for styling your hair when that wash n go or perm rods set is just not cuttin it anymore. It's a lifesaver! This one in particular is one of my favs- it's called Zita Rose from @kaji.headwraps. Checkout her site for a variety of cute patterns😍Use code 'zitarose' at checkout for $ off. .swipe to see a side view👉🏾 . . . Peep the eyelashes too 👀I really thought I was somebody with my koko lashes from @glamwinks 💜They're so full and comfortable and will def compliment any look. . . I hope you guys loved all of these headwrap styles! !